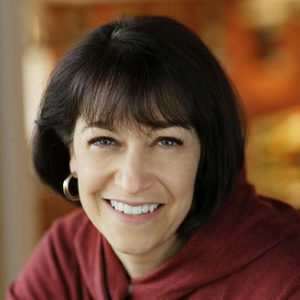 Diane Morgan is the award-winning author of more than a dozen cookbooks. She was a caterer and chef in Chicago for six years before moving to Portland, OR, where her focus shifted to teaching cooking classes and pursuing food writing. She’s now a regular contributor to the Los Angeles Times food section and has also written for Bon Appétit, Fine Cooking, and Cooking Light, among other national publications. Swapping out the traditional pork and shrimp for salmon makes a simple, stunning, super impressive upgrade to classic Vietnamese summer rolls. It can be confounding as you stand at the seafood counter confronted by little signs with confusing and misleading marketing terms. Here’s how to shop with confidence. Slather, schmear, and otherwise anoint all manner of things with this nifty flavored butter. Mmmm. Butter. You may think you’re going to gift these little half-pint jars of lemon curd, but who are you kidding? Our money says you’ll be lapping it up straight from the jar. This evocatively named dip isn’t the same as the one of yore. It’s got the same sumptuous taste, the same creamy texture, the same luminous color, just not the same calorie count. These little cabbages just don’t seem like their usual selves, not when thinly sliced and sautéed like they are here. This oyster stew, rich with cream and plump with oysters, is a classic and consummate first course for Thanksgiving or Christmas. Fresh popovers, flavored with ground hazelnuts and zesty herbs, are a Thanksgiving must. Making these popovers is easy because the batter is made ahead then baked off right before dinner. This Christmas and Thanksgiving dish of wild rice is combined with freshly roasted chestnuts, cranberries, and apricots then baked in the oven. The sweet and savory notes hit just the right spot with guests. This Christmas crown roast of pork is brined then rubbed with garlic and herbs then oven-roasted. The center of the crown roast is filled with wild rice. A wee finger food with a wallop of vibrant flavors, these pretty little passed hors d’oeuvres are perfect for parties.